There is a new kid on the block, and it is set to blow all the others out of the water: The Firefly revolutionizes portable vaporizers with the latest technology and sleek design. Vaporizing - everyone serious about getting high has heard of it, or already has at least one vape in the pocket. The problem with portable electronic vaporizers is that they tend to be clunky bits of equipment that required a long time to prepare and heat up, putting many people off. 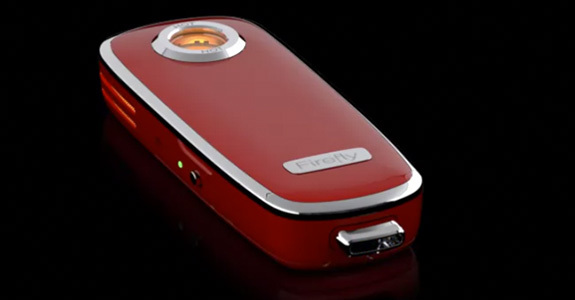 But now thanks to the advance of technology, it is possible to get sleek, easy to use and fast to heat portable vaporizers – and the firefly is set to take their crown. The Firefly: What’s all the fuss about? There are a lot of good vaporizers out there, but when an Apple designer throws away his career-job to come together with a Silicon Valley veteran and design a vaporizer together, you pay attention. It has resulted in a revolutionary piece of hardware that has got us very excited. What REALLY makes the firefly so special? Well, thanks to its ion battery, there is literally no heat up time. Even the most state of the art vaporizers have a small delay between heating up and producing their rich vapour, but not the firefly. It vaporises your bud instantly, and produces some of the best vapour around. And should you want to increase the temperature further, all you need to do is hold down the button longer – there is no fiddly temperature controls. 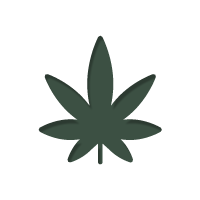 It can also reach temperatures of 204 degrees Celsius, meaning it is all but impossible to burn your weed. Although the quick fire-up time and quality of vapour are going to be the main draws of the Firefly, everyone is going to be able to appreciate the build quality and design of it. As you would expect from someone who has worked for Apple, the Firefly is an absolutely stunning bit of kit. It is really easy to use. Simply pop off the face plate held in place by two powerful magnets, pop a bit of bud in the chamber, put the face plate back on, press the unlock and then start vaping. Easy as pie. So who are these Silicon Valley experts who have piled their life savings into a product that caters to a market most people would consider niche? Sasha Robinson and Mark Williams are their names, two ‘enthusiasts’ who became friends at Burning Man and decided to come together to share their vision with the world. What we can say about the pair is that they have both left very lucrative jobs, which would have seen them happy until the end of their days, in order to gamble everything on this vaporizer. With such a commitment, you know that their hearts and souls are in it 100%, and they have produced a product to reflect this. There is a lot to love about the Firefly portable vaporizer. It sets a new standard for portable vaporizers, and is one of the best we have tested. 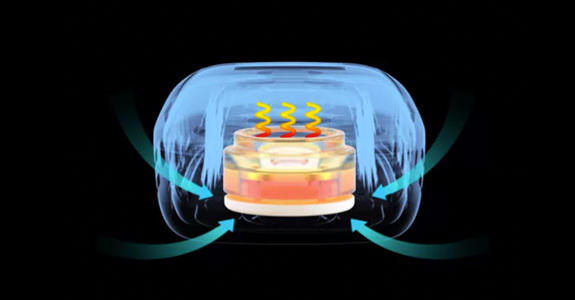 It is small, heats up instantly, and produces vapour so good that it even rivals the big boys like Volcano. The Firefly will be available from Zamnesia later this summer. If you like to vape, then you need this.